Along with offering stabilization, Gimbals come with lots of other features. If you are planning to buy one, here are the features you should consider. This is really important. We have two different types of gimbals – 2-Axis stabilizers and 3-axis stabilizers. The primary difference is that 2-axis Gimbals stabilize Tilt and Roll while the 3-axis gimbals stabilize your Pan. So, three-axis Gimbals are better and hence costlier than two-axis Gimbals. Gimbals are battery powered. So, Battery life is also an important factor you should consider Few use standard alkaline batteries while many use rechargeable lithium-ion. You must look for longer battery life in a Gimbal while selecting one for you. Gimbals come with control buttons to control the movement of the phone. Check for these features while selecting the best smartphone Gimbal for you. You will be carrying Gimbals with the phone on one hand, so it should be light in weight to give you a comfortable experience. The higher the Gimbal, the better it is. After considering all these factors, we have prepared a list of best smartphone gimbals. You can check the list of best smartphone Gimbals in India and pick one for you. 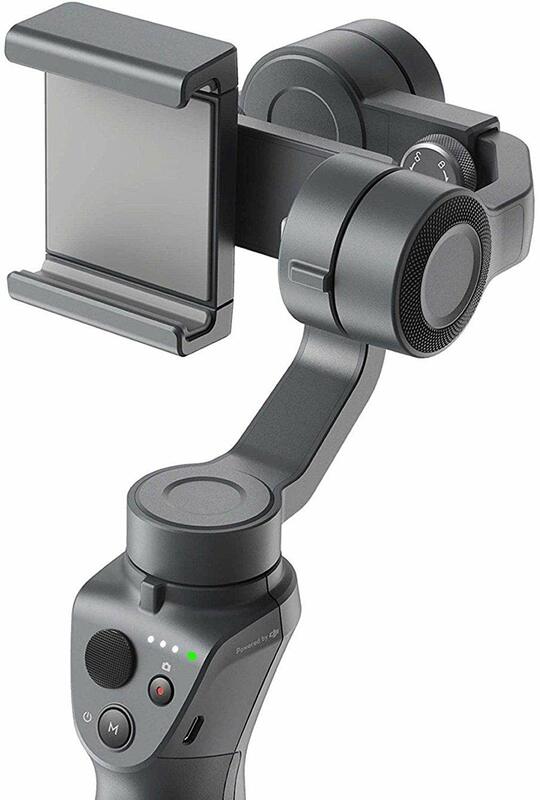 DJI OSMO Mobile 2 is the best choice as smartphone gimbal to be used as smartphone stabilizer while shooting videos and capturing photos. This handheld smartphone gimbal made for videographers who want to shoot their movies using the phone. It has built-in sensors and brushless motors to ensure stability. You can create panoramas, time-lapse or hyper-lapse videos. It also has integrated live streaming. It is made of high-strength composite material and weighs just 485 grams. It has 15 hours of battery life that can also charge your mobile phone. It offers excellent battery life and the best features you will find in any smartphone Gimbal available in the market. It can also be attached to any standard tripod. If you are looking for a DJI gimbal, this one should be your choice. 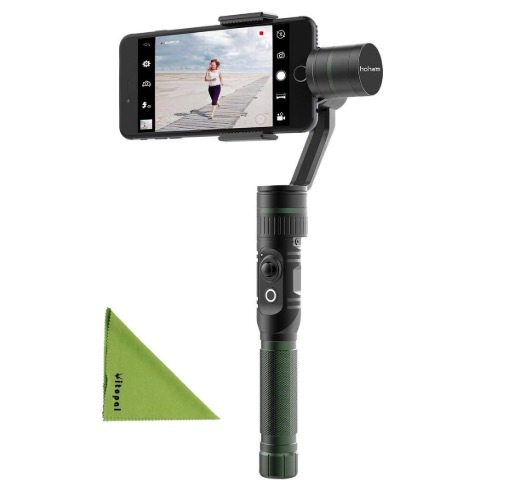 Zhiyun Smooth 4 is another good 3-axis phone stabilizer offering multi-axis control to give you stable video recording. It can accommodate most of the smartphone and even supports GoPro. It works really good even in windy condition. It also has really good build quality. The hand wheel brings you several options including Focus Full and Zoom. You can use it for Time-lapse, Motionless, Hyperlapse and slow-motion videos. It also features object tracking to produce smooth footage. It offers up to 14 hours of battery backup with a single charge. You can also charge your phone from the Gimbal while it is in use. You can also even charge it using a power bank while it is in use. 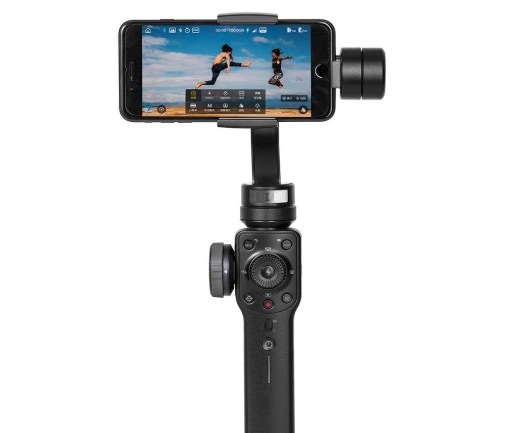 Hohem T2 is also a good 3-Axis Handheld Gimbal stabilizer you can buy for your smartphone. It comes with excellent 3-axis stabilization technology, multifunction buttons control, and Five-way Joystick. It has Button control on a gimbal for manual shooting. It also features Single click for 360 panorama shooting, Automatic facial recognition, and Smart Auto-tracking shooting. LanParte HHG-01 can easily hold smartphones with third-party add-on lenses. While it is nowhere as good as others on the list and battery of the Gimbal is also just 3 hours. It is a 3-Axis stabilized gimbal system with pan, tilt, and rotate. It also offers Gesture control system. It has a Customized high-quality BLDC motors for the movement. It also as Comfortable silica gel handle grip. It also comes with GoPro clamp for adding out GoPro action with it. It also offers 12 hours of battery life and battery takes around 4 hours in fully charging. Why do you need a smartphone Gimbal? If you use a smartphone for video recording, then you know stabilization is really an important factor. Budget phones come with EIS but that is not enough. Even if your phone has OIS, having a Gimbal offers a better stabilized videos. Shaky videos ruin the whole experience. So, Gimbal plays an important role in recording stabilized videos using your phone. 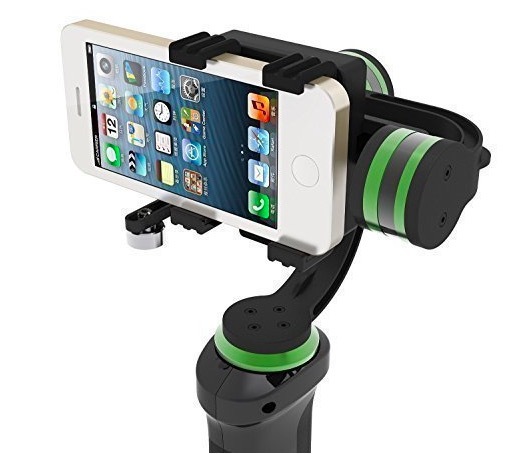 It keeps your phone steady and offers axis control for the proper movement of your phone. There are many other Gimbals you could find listed on Amazon or any other e-commerce store. Features are similar but there is the reliability issue. So, I have compiled the list of best gimbal for smartphones. 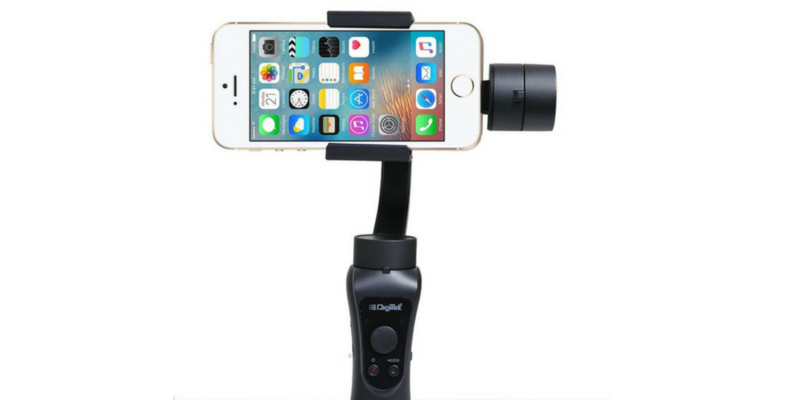 You can use any of these gimbals to use with your smartphones. If you know any other Gimal for smartphone or smartphone stabilizer, you can let us know in the comments section. I will surely try that and see where to fit in this list.